Posted on Sun, Feb 19, 2012 : 5:58 a.m.
Two Ypsilanti Township residents were relocated to new apartments after township officials discovered they were heating their units with open flames and no ventilation. Building inspectors also discovered the landlord was heating three empty neighboring apartments with open flames on the stove to prevent pipes from freezing. The small apartment building at 1805 Parkwood St. was condemned, and on Feb. 15 a judge ordered the owner to make an estimated $80,000 to $100,000 in repairs or demolish the building. Building officials were alerted to the property in late January. 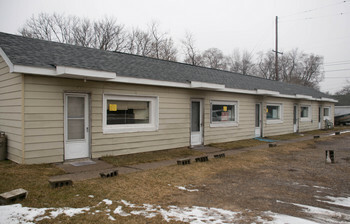 The conditions led them to put in motion a request an emergency hearing to have a Washtenaw County Circuit Court judge order the property vacated and repaired or demolished. The building's owner apologized to the court and told the judge he wasn't aware he was doing anything wrong. He also agreed to demolish the building within 30 days. Officials feared the residents were being exposed to carbon monoxide poisoning, and the arrangement was a fire hazard. One resident, a man in his early 20’s, promptly moved with some assistance from the township, while a 65-year old woman was assisted in relocating by Catholic Social Services. The building also had extensive plumbing issues, problems with its hot water heaters and numerous exterior code violations. Tenants at 1085 Parkwood St. were heating their homes with open flames on their stovetops. “Aside from the fire threat and the buildup of carbon monoxide in the occupied units, the other three units are in deplorable condition,” township attorney Doug Winters said. Washtenaw County Sheriff’s Office deputies alerted building inspectors to the situation at the property after investigating reported drug activity near the building. The five-unit apartment building is located at 1805 Parkwood St. near Dakota Street. One of the tenants invited a building inspector sent to investigate into her unit. Each unit is one room and less than 300 square feet. The units have a front and back door and one window that doesn’t open. According to an Office of Community Standards report, the tenant complained that the building’s heat didn’t work, the apartment was drafty, there were plumbing issues and there were mice. The building inspector found the apartment was heated with an open flame from the stove and oven, and cracks where outside air would get into the house were sealed with tape. The neighboring tenant had the same issues and heated his unit with a natural gas space heater that gave him headaches. Mike Radzik, director of the office of community standards, said the hot water heaters were installed improperly and had to be turned on manually, otherwise hot water bubbled up through the units’ cement floor. “It was very strange,” Radzik said. Officials said the property’s owner, Kazem Nali, refused to allow building inspectors in the complex after their initial visit, so officials obtained an administrative search warrant from a magistrate at the Washtenaw County 14-b District Court. On the subsequent visit, township building officials, escorted by a sheriff’s deputy, further inspected the units. That was when they discovered the vacant units were heated with stovetop flames to prevent pipes from freezing. Officials tried using a battering ram on the back door to one of the vacant units but it was sealed so tight that they still couldn’t easily get through. They then kicked in the front door and subsequently turned off gas to the vacant units. Catholic Social Services helped the female tenant pack and move into a local hotel while the University of Michigan Health System’s Senior Housing Bureau helps her look for a new apartment. Mon, Feb 20, 2012 : 1:35 a.m.
&quot;The building's owner apologized to the court and told the judge he wasn't aware he was doing anything wrong.&quot; And yet, he knew enough not to let the building inspectors check the apartments out. Who are you kidding?? He knew EXACTLY what he was doing. Consequences cannot be harsh enough. Sun, Feb 19, 2012 : 7:15 p.m. He didn't know open flames can cause fire? Where has this guy been hiding? I will tell you, if it had caused fire, then he would be liable, and the he would be in a world prison, I'm sure there are lots of flames in there. Sun, Feb 19, 2012 : 6:17 p.m. Thank you Ypsilanti Twp. for the good work you are doing in taking care of these horrible slum conditions! Sun, Feb 19, 2012 : 2:21 p.m.
Maybe we can gouge the poor and middle class some more so the Governor can bring a few jobs here that might prevent people from heating there homes this way,this happens more then we know. Sun, Feb 19, 2012 : 12:49 p.m. Remember that movie with Joe Pesci &quot;The Super&quot; where a slumlord was forced to live in the rat hole apartments he owned. Perhaps some judges should do the same with these slumlords. Sun, Feb 19, 2012 : 12:36 p.m. It's good that action is being taken on this mess. I hope that the rehab or demolition of the building happens soon.